Today is the 17th anniversary of the 9/11 terror attacks on America. We can never forget what happened on that day that changed so much in our country. Nearly 3000 people lost their lives that day. Those attacks had nothing to do with guns of course. On May 3rd, the agency said, they found 26 firearms in carry-on bags, the most in a single day. The firearms were discovered at 15 different airports including one at Dallas Love Field, two at Dallas-Fort Worth International, one at Austin-Bergstrom and four at Houston’s Bush Intercontinental Airport. This is not normal. We have to keep saying this. The people who “forget” that they have guns in their carry-on bags are not terrorists. They are Americans who presumably have legal permits to carry their guns. But what are they thinking? The marshal was initially mistaken for a passenger and with the hyper awareness about terror attacks on planes and gun violence in general, who can blame the cabin attendant? Here is just one story about a loaded gun found at the Nashville airport where apparently guns are found with regular frequency at that airport. The TSA offers advice to passengers who need to transport a gun safely while flying. It’s pretty simple to follow this advice and if you are thinking before flying, you just know there are certain things you can’t take on board with you any more after 9/11 and guns are among them. There is a certain amount of common sense and the realization that carrying a gun in public (or having one at home) is a grave responsibility that should come with gun ownership. Unfortunately for the too many victims, that is not the case. Santiago was born in New Jersey in 1990 and moved to Puerto Rico two years later. He lived most of his life in Peñuelas, Puerto Rico, and attended high school there. He joined the Puerto Rico National Guard on December 14, 2007, and served in the Iraq War from April 23, 2010, to February 19, 2011, as a combat engineer. He later served in the Alaska Army National Guard from November 21, 2014, until receiving a general discharge in August 2016 for “unsatisfactory performance.” He was a private first class and received ten awards during his time in the military.According to his family members, he had become mentally ill after his tour in Iraq and was severely affected by seeing a bomb explode near two of his friends while in service. They also stated he had recently received psychological treatment, which was confirmed by federal officials. This shooter ( homegrown terrorist) was American born and served in the U.S. Military where he was affected by his experience in Iraq. Another issue for another post is the fact that many of our military veterans suffer from PTSD or other mentally incapacitating conditions that make them risks for suicide and homicide. This is yet another American tragedy. The consolidated federal terrorist watchlist had 800,000 people (mostly non-Americans) on it as of September 2014, including 64,000 on a subset referred to as the “no-fly” list, which bars air travel to, from or within the United States. While inclusion on the list does not disqualify people from purchasing weapons, prospective gun buyers are screened against the terrorist watchlist, and matches are forwarded to F.B.I. agents, who can use the information to help with investigations. Last year, 244 background checks involved people on the list. According to a study by the Government Accountability Office using data collected by the F.B.I., the vast majority of those on the watchlist who attempted to buy a gun from 2004 to 2015 were allowed to proceed, because they were not stopped by a disqualifying factor like a history of criminal or mental health problems. This is called the “terror gap” in our gun laws. And, as I always mention, it is not necessary to get a Brady background check when purchasing a gun because our loose gun laws allow private sellers to sell to anyone, no background check required. This was mentioned in the above linked article. Every year on this tragic anniversary we say the names of the victims of the attacks and remember them. 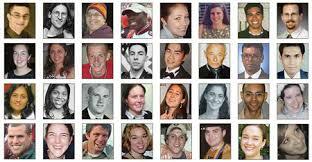 Their deaths are not ever forgotten by their families and friends. It’s always an emotional day as it was this year. I visited the site of the 9/11 memorial last fall and I was stunned at how beautifully and respectfully it is done to honor those victims. Every day in America 90 people lose their lives to bullets. Since In one month in America more Americans die from gun violence than died in total in the 9/11 attack. That is not meant to take away from the memories of those victims but to put things in perspective. Mass shooting anniversaries happen regularly in America on many days of the year. Today we remember. Today we reflect on our country and patriotism and terrorism and victims and on the firefighters and police officers who lost their lives trying to save the victims. We remember the awful scenes we saw on our T.V. screens. We remember the aftermath and the collapse of two tall skyscrapers changing the horizon in New York City. We remember the horror and the finding of live people in the wreckage. We remember the pile of rubble left behind of what was left of human bodies, artifacts, fire trucks, personal effects. The site is now a sacred burial site and the victims’ names of there to read. They are just people going about their daily lives. Let us remember all victims of violent and tragic deaths. The President expressed frustration at the “Guns in America” forum hosted by CNN on Thursday night at his opponents telling him to enforce existing laws, saying those same opponents are trying to undermine them. Pro-gun-control experts and some former law enforcement officials say that a lack of resources combined with vague and toothless laws make federal gun prosecutions difficult. And they accuse gun lobbies of intentionally watering down legislation and hamstringing agencies so the laws are useless, a point lobbyists contacted by CNN declined to address. One is simply a resource problem: The Bureau of Alcohol, Tobacco, Firearms and Explosives, or ATF, which investigates licensed gun dealers, and the National Instant Criminal Background Check System are woefully understaffed and replete with red tape, gun control supporters say. The groups also say the federal laws themselves have such high standards to meet in court that it’s a disincentive for resource-strapped federal prosecutor offices to bring cases, as they don’t want to waste their time on cases they are not likely to win. The Gun Control Act requires those “engaged in the business” of selling firearms to obtain a license from ATF, and licensed dealers are required to run background checks and follow federal laws on dealing weapons. But what constitutes “engaged in the business” has been unclear, and prosecutors say it can be tough to prove unlicensed individuals who sell multiple weapons online and at gun shows have broken the law. Who writes our gun laws? Why are they vague and the standards too high and penalties too low? We know the answer. The NRA is busy helping legislators write the laws and it’s true that the wording is often vague and difficult to enforce. If you don’t want laws to be enforced because of an ideological position on gun rights, this is what happens. I have long thought that passing laws also changes the cultural norms as it has with drinking while driving and smoking inside of public places. It goes both ways, changing the cultural norms can also lead to changes of hearts and minds amongst our legislators so they get brave enough to pass strong gun laws just as they passed strong traffic laws, strong drunk driving laws, strong laws banning smoking inside, strong laws for safety of our food and water. We expect that most people will follow the laws for the benefit of public safety. Traffic laws are not just in place to punish “law abiding” drivers. They are there to keep us safe and keep others safe from people who could be dangerous and stupid while driving. Most people follow those laws as it turns out. These laws save lives and also cut down on litigation, insurance and health care costs. The same is true of current gun laws. They are there for all to follow and if a gun owner is law abiding, then there will not be problems. But for those who could be stupid and dangerous with their guns and their rights, the rest of us need some public safety measures to keep us all safe. And that is all this is about in spite of what the gun rights extremists like to claim about the agenda of passing stronger gun laws. Submitting false information on a background check is a felony under federal law, punishable by up to 10 years in prison and a fine of up to $250,000. But as many as 160,000 people are denied a gun purchase each year because they failed a check. Few are ever apprehended, much less prosecuted. Available federal and state data suggest that the percentage of arrests as a proportion of denied sales is extremely low — likely in the single digits. Pennsylvania is one of eight states where lawmakers and police have sought to boost arrests and prosecutions by passing laws and implementing so-called “lie and try” policies requiring local law enforcement agencies to be notified whenever someone fails a background check. The goal is to give police a tool they can use to arrest dangerous individuals before they can secure a gun and possibly harm someone. In 32 states, a person who is blocked from buying a firearm at a licensed dealer can turn to a private seller who is not required to run a background check. One 2009 study found a strong proclivity towards further illegal behavior by denied gun purchasers, determining that a third of convicted criminals rejected when attempting to buy a gun are caught breaking another law during the next five years. Pennsylvania state police have investigated at least some denied gun purchases for over a decade, but until recent years, it was only a small percentage of the overall number. Then in late 2013, police there decided to investigate every failed background check, says Scott Price, a state police major. If a purchaser is denied because of an outstanding warrant, state police now immediately dispatch local officers to arrest the individual at the gun dealer, Price says. Most states with laws or policies for clamping down on “lie and try” buyers require only that law enforcement is notified about a rejected purchaser — there’s no mandate that police act on that information. But Virginia and Oregon join Pennsylvania in compelling police to investigate every denied sale. Last year in Virginia, police arrested 1,265 denied purchasers. Oregonpolice arrested 40 buyers on the spot, and referred hundreds more cases to local departments for investigation. The National Rifle Association has never officially endorsed a “lie and try” policy, though in the past, the gun group has called on the federal government to address the low prosecution rate for prohibited persons who attempt to buy firearms. Shortly after the Sandy Hook Elementary School shooting in 2012, the gun lobby’s representatives asked the White House’s gun violence prevention task force to enforce federal laws that make it illegal to lie on a gun background check form. Time will tell if this is true. The gun lobby opposes pretty much any measure that would make it very difficult for people who shouldn’t have guns to get them anyway. It’s hard to know what to make of that inconsistency in thought. Unless it’s more about profit than about saving lives. An Omaha pastor was stopped at an Eppley Airfield’s security station with a loaded handgun in his carry-on and is facing prosecution Sunday night because it’s not the first time he’s done it. Weasel, who has a concealed-carry permit, said he told authorities it was an honest mistake when he showed up at the airport with it in his bag, saying he thought his gun was at home in a safe. The slip-up on New Year’s Eve wasn’t the first time Weasel has made the mistake; in 2014, the same bag was found to contain a different gun. “When it occurs twice with the same individual, it warrants prosecution,” Omaha interim city prosecutor Tom Mumgaard said. So it looks like he will be prosecuted and they expect it could be a misdemeanor. And then what? Here’s a law that clearly needs enforcement. The TSA is finding more and more loaded guns in carry-on luggage now than ever before? Why? Because more people are carrying guns around and therefore there are more potentially dangerous and stupid people with guns around in public. Given that, let’s hope that offenders and repeat offenders like the Pastor in the article are prosecuted and held responsible for violating the law. Two months earlier, according to local authorities, he had surrendered at least 10 guns under a judge’s order issued after Tordil’s wife accused him of physically and sexually abusing his family. But Tordil, a Federal Protective Service officer, kept at least one weapon when he handed in the rest of his arsenal: a .40-caliber Glock he allegedly used to carry out the shootings on May 4 and 5. Tordil bought the gun legally in Las Vegas in 2014, said State’s Attorney John McCarthy at a hearing on Monday where Tordil was denied bond. Tordil kept the weapon by exploiting a weakness in state and federal laws designed to keep domestic abusers from using weapons: Local law enforcement had no way of knowing he owned it. Maryland has a handgun registry. But Nevada, where Tordil purchased the Glock, does not. Nor is there a federal registry of firearms, the spectre of which the National Rifle Association and its allies have used to knock down a range of legislation. David Cheplak is a spokesman for the Baltimore Field Division of the Bureau of Alcohol, Tobacco, Firearms, and Explosives, which traced the gun, found in Tordil’s car, to a federally licensed dealer in Las Vegas. He said that if Tordil had bought the weapon in Maryland, he would have been required to register it there with state police. Ah- registration of guns would have saved lives. And before you gun rights folks wet your pants about the mere suggestion of gun registration, maybe you ought to think about why it might be important for saving lives. It has nothing to do with the government taking YOUR guns away. It is to make sure we know if dangerous people have guns so we can save lives. I am raising it because we may need to have this conversation given cases like the one in Maryland. It is doubtful that anything like that can happen given the fears of gun rights advocates. But it could be helpful to talk about the fears and the implications in a civil manner. I’m just saying…. Maryland has a relatively robust law aimed at alleged domestic abusers. The authority to require suspects to give up guns has “enormous benefits for victims of domestic violence,” Taylor says, but is limited by the lack of a totally effective gun registry. If Gladys Tordil or other family members had known of the extra gun Tordil kept, or if a record existed, then the sheriff’s office could have obtained a warrant from the judge and confiscated it as long as the protective order was still in effect. But authorities had to rely on the word of a man accused of threatening to kill his wife that he was giving up his means to do so. That left Tordil free to stay armed and murder Gladys Tordil and two others. 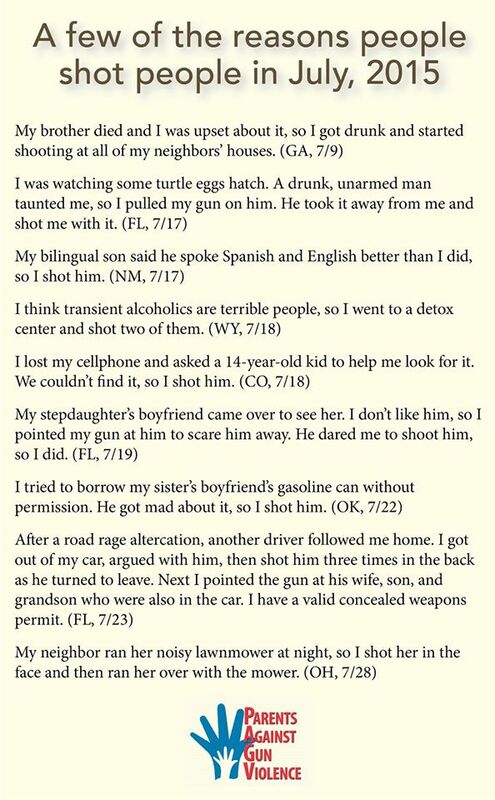 So our laws rely on the abuser or the offender to be honest and say how many guns they have? Or to check on a form when purchasing a firearm that you are not adjudicated mentally ill, a felon or a domestic abuser? That is why we need to do background checks on all gun sales so that can be checked out by authorities. Lives depend on our getting guns out of the hands of those who should not have them. Stronger laws can do that. Uber’s explosive growth has been met with concern about safety in many places where it has disrupted the existing order of transportation services, especially as incidents involving passengers being assaulted by drivers have been publicized. In 2014, Uber unilaterally decided to increase scrutiny in background checks for drivers, requiring all new and existing partners to undergo federal and county background checks. But those checks are not always effective. That was at least true in the case of John Dalton: an Uber driver in Kalamazoo, Michigan, who went on a killing spree in February while on the job. Dalton passed a background check because he had no criminal record. Uber does not collect fingerprints for drivers, or even require any face-to-face meeting before they are permitted to start accepting fares with its app. Public safety is too important to let some people slip through the cracks. Lives depend on our getting this right. I’m sure I don’t have to mention the irony of requiring universal background checks on Uber drivers but not on all gun sales. So let’s enforce the laws on the books and make sure we are funding the efforts to do so. And then let’s pass stronger gun laws that are simple and direct so that it’s very clear what’s in the law. When that happens everyone will understand what the law means and what can be done to stop some from getting guns and make us all safer. In the end, that is the bottom line. Laws can change our dangerous gun culture. Changing the gun culture can lead to better laws to prevent gun injuries and deaths. That should be supported by everyone who cares about saving lives. I wrote in a previous post about gun lobby myths and I have written about them many times before. But it bears repeating that much of the gun lobby’s rhetoric is based on fear, paranoia and just plain deception without accompanying facts. While it is true that all sides of issues tend to exaggerate to make their point and catch the attention of the media, the public and our elected leaders, the corporate gun lobby is notorious for its’ mythical rhetoric. It’s an argument we hear frequently from gun rights activists and conservative lawmakers: Mass shooters select places to attack where citizens are banned from carrying firearms—so-called “gun-free zones.” All the available data shows that this claim is just plain wrong. As I reported in an investigation into nearly 70 mass shootings in the United States over three decades, there has never been any known evidence of gun laws influencing a mass shooter’s strategic thinking. In fact, the vast majority of the perpetrators have indicated other specific motivationsfor striking their targets, such as employment grievances or their connection to a school. The shooter’s trial is now going on in Colorado and the families and friends are having to re-live the worst day of their lives every day the trial drags on. The idea that people are less safe in gun free zones than in guns allowed zones makes no sense. Since most shootings happen in homes which can be guns allowed and of course, domestic shootings occur in homes with guns, how does the myth hold up? It doesn’t. Accidental shootings of course occur in places where guns are allowed. And what about the recent biker gang shoot-out in Waco, Texas? Clearly that shooting occurred where guns were allowed. 6 were killed. The same is true of intentional shootings of police officers such as the ones in Tacoma, Washington and Pittsburgh, PA. Officers are far too frequently shot by those who know they are about to threaten or shoot an armed individual. And isn’t a shooting range a guns allowed venue? I guess having all of those guns around didn’t protect this guy from getting shot at one. There are many other incidents about shootings at gun ranges. And I ran across an article about a Sheriff’s deputy in Georgia who was injured by another deputy at a gun range where they were training with their guns. This is the 2nd one in just a few days at a gun range. So what’s the deal? How could these be happening? And happening they are. Rights? Where is the right to be safe from guns going off accidentally or intentionally in any zone? The thing is, the gun lobby should be embarrassed about all of these shootings which disprove their myths. Maybe they aren’t paying any attention to the media stories because their agenda is all about driving up profits. Never mind the facts or that people are dying from gunshot injuries. Common sense tells us that the problem is not that we have gun free zones in our country. It’s that we have too many guns in our country which are too easily accessed by those who shouldn’t have them in zones that include guns and zones that don’t. Most civilized, democratized countries not at war don’t allow people to carry guns in public and have many more restrictions on gun ownership in general with fewer guns per capita. What is the result? Mostly gun free zones, strong gun regulations on the weapons and the owners, and far fewer gun deaths and injuries than in America. Much like the guy screaming about the end of the world on the street corner, when it doesn’t happen, the NRA just pushes back the timeline a bit, rinses and repeats. At this point, investigators believe Rick, while on a visit to Fargo, used a handgun to shoot his wife once in her body and once in her head before firing a shot into his head, Reitan said. The husband and wife were both well-educated professionals who, before they separated, lived together in a newer development with ample houses and lush yards in southwest West Fargo. As far as police know, the couple did not have a history of domestic violence, Reitan said. In the past three years, there were only two police calls to the home: both from neighbors concerned about the couple’s dog being left outside, police records show. Rick had a business called Rick Professional Services that specialized in human resources and workplace safety, according to his resume on Indeed.com. In something of a twist, he gave a presentation last year in Fargo titled “Workplace Violence and Preparedness” on how to deal with active shooters, armed intruders and threats to employees, according to The Forum’s archive. Did you get the irony here? “….he gave a presentation last year in Fargo titled “Workplace Violence and Preparedness” on how to deal with active shooters, armed intruders and threats to employees….” Really? What about threats in homes and active shooters in homes where guns are allowed. This is the myth of the corporate gun lobby and gun extremists playing out in every day life. Actual people are dying. Does it matter to the gun lobby? Jim Cooley carried his assault weapon with a 100-round drum attached to it while accompanied by his wife as they dropped their daughter off, alerting the press later after he was stopped multiple times by authorities. While in the airport, Cooley was approached by a fire marshal asking him why he was carrying the gun, an Atlanta police officer who asked him if he had a carry permit, and then multiple officers who followed him to his car while taking pictures. Yes. Something might happen all right and it won’t be what this guy expects. How do we know a “good guy” with a gun from a “bad guy” with a gun? 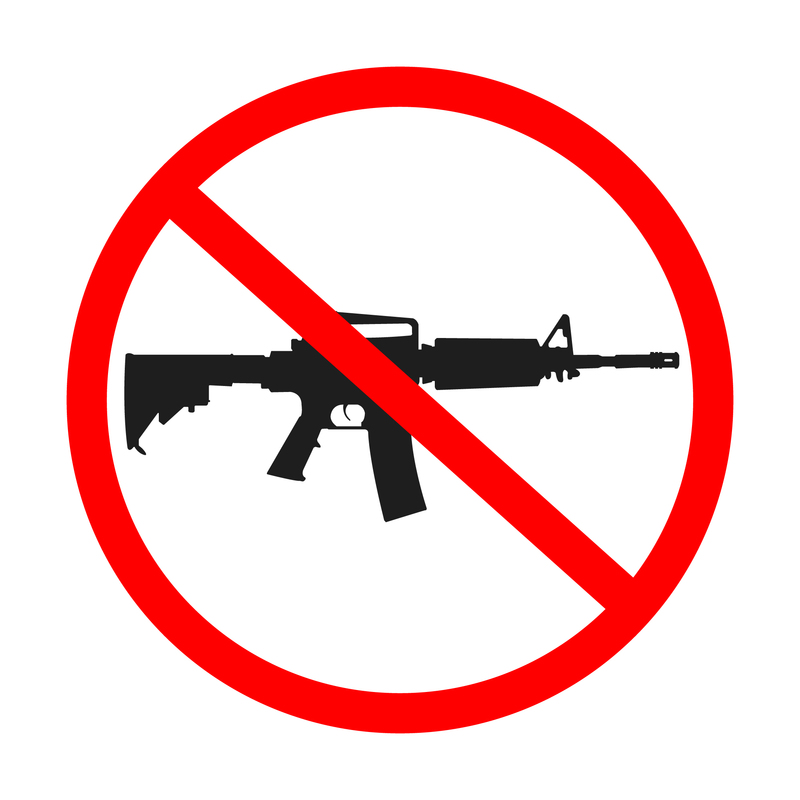 Why couldn’t anyone carry an assault rifle into an airport unsecured area with bad intent? This is insane and crazy. There is no other word for it. And the Georgia legislature should be ashamed and thinking twice after this stupid and potentially dangerous stunt. Will they? No. Because they are spineless in dealing with the corporate gun lobby. They are the guys with the guns that get to make the rules. Right Wayne? In one case, an alarm sounded, but even during a pat-down, the screening officer failed to detect a fake plastic explosive taped to an undercover agent’s back. In all, so-called “Red Teams” of Homeland Security agents posing as passengers were able get weapons past TSA agents in 67 out of 70 tests — a 95 percent failure rate, according to agency officials. “The numbers in these reports never look good out of context, but they are a critical element in the continual evolution of our aviation security,” Homeland Security officials said in a statement. This isn’t the first time TSA officers have failed to detect fake terrorists and their weapons. “Red Teams” have been probing TSA checkpoints for 13 years, oftentimes successfully getting weapons past airport screeners. However, this time, TSA agents failed to detect almost every single test bomb and gun, aviation experts said. So one Georgia man is strutting around outside of the secured area of the Atlanta airport as if it’s his right to scare people because, well, because, ….. rights. On the other side, over 2000 guns were found on passengers at security check points in 2014 alone. This is insane and all a part of the crazed gun culture sponsored by the corporate gun lobby and its’ bought and paid for elected leaders. Raise your hand it you actually believe seeing someone with a loaded AR-15 at an airport makes you feel safer. Do we want guns at airports or not? We know that the gun extremists do but as to the rest of the country, I’m guessing the answer is a pretty definitive NO. Airports need to remain gun free zones for obvious reasons. So far there have been few, if any shootings at airports. People understand that guns are not allowed and will be taken away. The idea that this guy with his AR-15 in Atlanta will “save the day” is ridiculous and part of the many gun lobby myths that promotes this kind of behavior. Nor is this an especially new state of affairs. American kids have been shooting themselves and each other for years now, but as the Second Amendment enthusiasts who crowd the comments sections will tell you ad nauseum, more U.S. children die in swimming pool accidents each year than by gunfire. The problem lies in discerning whether that data point is even accurate: after years of lobbying by the NRA and other gun rights groups, reliable federal numbers don’t exist on how many toddler shooting deaths are even happening each year, as The Washington Post reported last fall. So we find ourselves at an impasse. American toddlers are getting their hands on guns at an alarming rate, and the government’s “hands are tied” to track the phenomenon. On top of that, few local or state governments seem to have the appetite to prosecute negligent parents or caretakers for leaving loaded guns lying around for their toddlers to find. Even activists in relatively liberal New York State are finding it an uphill battle to pass common-sense laws around safe gun storage. In all seriousness, it’s hard to say at this point what it will take to get a critical mass of Americans and their elected representatives to acknowledge that something’s gone deeply wrong here, and to do something about it. Our toddlers are regularly shooting themselves, their friends and their family members. How many bloodbaths will we all have to watch on the news, or live through personally? The longer we drag our heels debating this issue, the more kids will reach for the gun in their parent’s glove compartment, with no singing eagle on the scene to warn them away. And I remind my readers that the people who are pushing the myths are taking extreme positions and represent an increasingly small group of Americans. It’s time to base gun policy on what works best for the majority and what will protect public health and safety. The gun lobby’s tactics, myths and policy ideas are making us less safe. People are scared into buying guns without the least notion of how to be safe with them or keep their own families safe from intentional or unintentional shootings. Gun free zones actually according to all data and actual incidents, do actually make people safer in contrast to the gun lobby myth. We don’t need more guns in gun free zones. The gun lobby just wants to sell more guns and using this myth helps with that agenda. The gun lobby should just stop whining and start basing their assertions on actual facts. Then we could have a national discussion that we deserve to have. Yesterday’s #WearingOrange day for gun violence awareness must have been tough for the gun lobby extremists who just can’t get that the majority of Americans want the shootings to stop and don’t believe in myths. Our leaders need to deal with the facts as well in order to make good policy. It’s past time for that to happen. In the name of the victims of shootings everywhere, let us “demythify” the gun culture and deal with the facts. We are better than this.